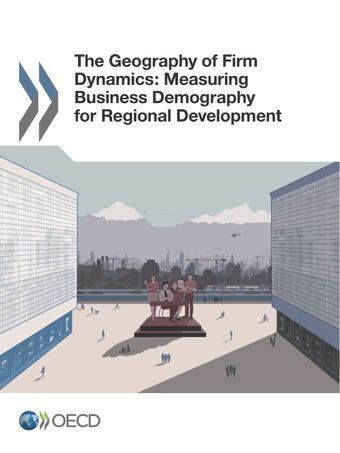 The Geography of Firm Dynamics provides methods and data to measure and analyse business demography across OECD regions. It first discusses the methodological challenges of measuring consistently the creation and destruction of businesses at the subnational scale and from an international perspective. Second, it presents a novel database that not only makes such comparison possible but also provides the basis for an analysis of the major trends in business dynamics across regions. The report identifies regional factors that are associated with entrepreneurship and also examines the impact of business creation on regional employment. The Geography of Firm Dynamics provides a tool for national and local policy makers to design strategies for healthier business environments that are tailored to the specific characteristics of each region, thereby boosting prosperity. New firms constitute, on average, 10% of all firms across OECD regions, but regions differ considerably in business dynamics. At the top end of the range, business birth rates can reach up to 25%, whereas regions with the lowest business creation rates only recorded birth rates of around 5%. Urban regions show the largest levels of business dynamics, both in terms of business creation and destruction rates, which is particularly pronounced for mostly urban regions at the frontier of national productivity. They account for 24% more business births, among all types of firms, than would be expected given their share of active firms. New businesses can create around 3% new employment in regions on average, although regions across the OECD differ substantially and their contribution to direct employment creation can be up to 8%. Regions with on average smaller existing firms also record higher firm birth rates. In predominantly rural regions, the concentration of employment in a few firms is negatively associated to the creation of new firms. For urban regions, on the other hand, the creation of new businesses is higher when a few large firms dominate regional employment. Using enterprise-level data to monitor employment, growth from business creation can be susceptible to a headquarter bias, a deviation from a region’s actual share of national employment of, on average, 1.4 percentage points. Capital-city regions tend to concentrate headquarters of large firms. On average they control 7 percentage points more employment than is located in their region.